Have you ever been driving a large truck or diesel truck, RV, or towed a fifth wheel and had trouble finding or even just using a gas station? It is one of those issues that plagues the frequent road-traveller and is something that is important to plan for during your trips out on the open road. Generally, truck stops or gas stations will advertise that they offer diesel fuel, a place to stop, or a dump station, but there are some other ways you can be efficient with your planning and take care of things ahead of time to reduce your worry in the long run. Many gas stations that are RV, fifth wheel, or diesel truck friendly can be found near the major highways, but it is smart planning to know where these are located in reference to your specific trip. 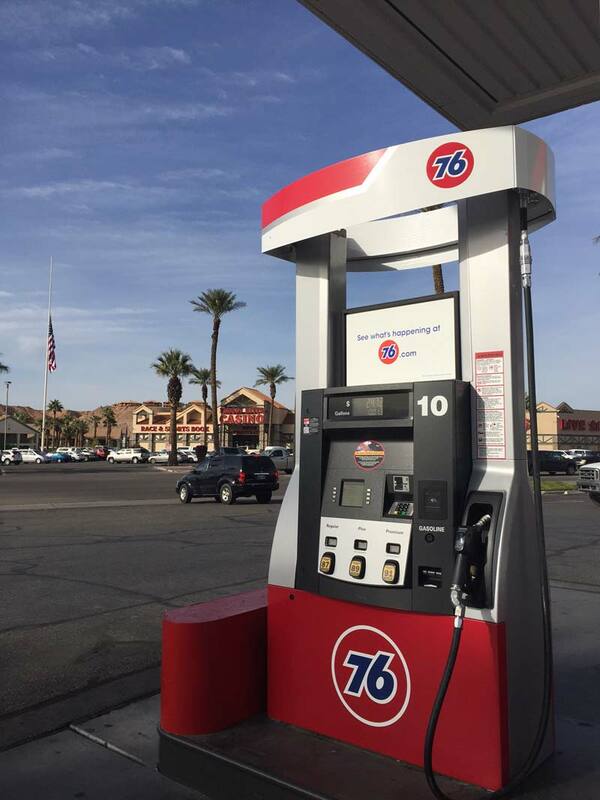 One stop to make on your way out to Las Vegas from Salt Lake City or vice-versa is Virgin Valley Food Mart - a Union 76 gas station. Like other major stations and stops for drivers, it is near a major highway - the I-15 - and is definitely a friendly place for truck drivers or RV drivers alike to stop and take a break in between stints on the road. Your map might get you where you need to go, but without fuel, your plans for reaching your destination make you tap those brakes a bit. Map apps usually display the different gas stations along your route, but sometimes you won’t find all the information you need to feel confident you’ll be able to fit, the fuel type you need is there, or that there is a place for you to park and stay overnight. One of the smartest ways to plan this in advance is to get an app that shows you all the different features of gas stations and which ones suit your needs best. If you had to drive an extra 10 miles to reach a station with plenty of room to turn your large truck or RV around, that might be worth the reduction in stress, right? While apps like AllStays can be great for showing you the stations along your route, technology isn’t perfect, so make sure to do your due diligence and research the area you intend to visit ahead of time, and that might mean making a quick phone call or two to figure out specific logistics. Some stations will offer ample space for a diesel truck, but in an RV, you might require regular fuel - and that also means extra space for your RV to fit in the fueling stations. If you have time to plan out your trip and are towing a fifth wheel, make sure to gas up your vehicle doing the towing prior to heading out on your trip. Getting gas while towing anything adds complication to the situation, so take an extra pre-vacation prep step and get the gas before you hitch up your fifth wheel or trailer. If you are driving your car in your hometown or the city you live, typically gas stations are numerous, and you might not even think about refueling until your gas light turns on and you hear the alert chime. In an RV or large truck, you should always take an extra precaution with gas, since not every station will have the space you require, and potentially might not even have the type of fuel you require. 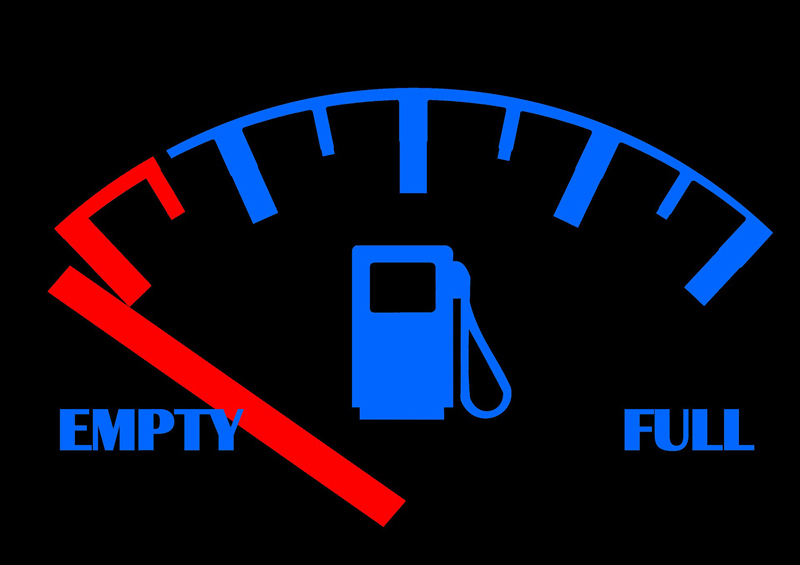 If your tank is getting close to halfway full, begin your search for your next gas station to refuel. This conscious approach to your travels will ensure you aren’t adding any extra stress while operating a large vehicle and can add some peace of mind to your journey where extra stress is not very welcome. If you find a station that appears as if it will work out perfectly for your vehicle, there are some considerations that can help make the stop a bit smoother. As you approach the station, consider how you will need to maneuver the vehicle into the fueling station, whether you will need to enter from one direction or another with the most ease, and how busy that particular station is at the time. One other important thing to note is how you will exit the station. If you end up blocked in by other cars at the pump behind or in front of you, that is likely to add unnecessary frustration to your journey that can be avoided. Pull into a spot that makes it easy for you to drive out when you are ready, into an open space as often as possible. Some stations will have a dedicated RV lane for refueling, which can be helpful and ease the stress of planning out your interaction with the space, but consider the pathways directly out of that space as well. If you need to get back on the highway and the road adjacent to the station requires a sharp left turn to make it onto the onramp, you might think about alternate ways of entering that road, like perhaps traveling further in the opposite direction and finding a lot to turn back around. When in doubt, always choose the outermost lane when refueling to allow for the greatest amount of surrounding space possible. One place RV enthusiasts or truck drivers can feel at ease is at Virgin Valley Food Mart. Not only is the area spacious for all types of navigation and maneuvering your vehicle, but it also is conveniently located near a hotel and casino to add some entertainment to your stop. Shop the Food Mart to find snack and beverages to keep your body refueled along your journey, and park and stay in the lot to rest before heading back out on the road. With an easy location and quick access back to the highway, Virgin Valley Food Mart is the perfect truck stop in Mesquite between Las Vegas and Utah.